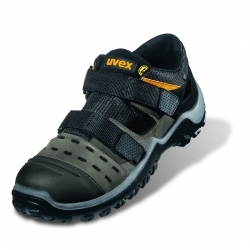 Safety footwear UVEX Athletic 9455 PRO Sandal ESD S1 Grey. 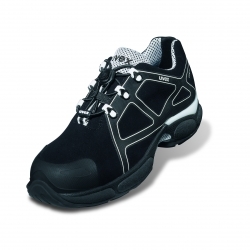 German manufacturing take a size below your usual size. 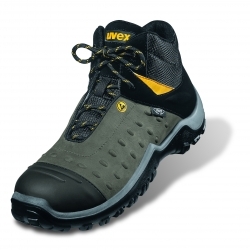 Safety footwear UVEX FLAG NANCY AERO S1P-Black / Grey. German manufacturing take a size below your usual size. 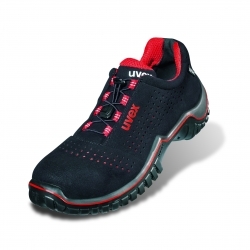 Safety footwear UVEX moccasin white kitchen XENOVA HYGIENE S2 SRC ESD White ideal kitchen restoration laboratory is a very beautiful quality of leather. German manufacturing take a size below your usual size. 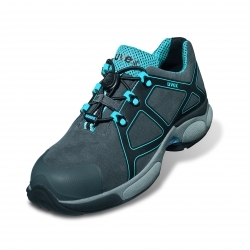 Safety footwear UVEX XENOVA ATC S3 Grey / Turquoise. 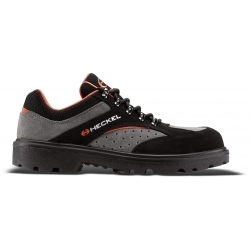 German manufacturing take a size below your usual size. 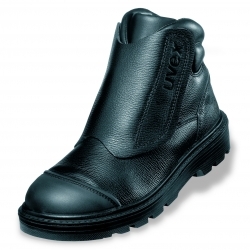 Safety shoe welder UVEX ORIGIN BOOTIE Welder S2 Black. German manufacturing take a size below your usual size. 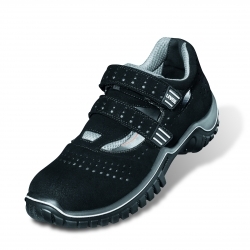 Safety footwear UVEX Motion ESD closure by scratch velcro S1P Black / Grey.German manufacturing take a size below your usual size.